When I started sketching this little guy, he was originally going to be a cat, but for some reason I drew in the teeth, erased the ears and made them round. Because he is so plump, a skinny mouse tail just didn’t look right, but the beaver tail did. 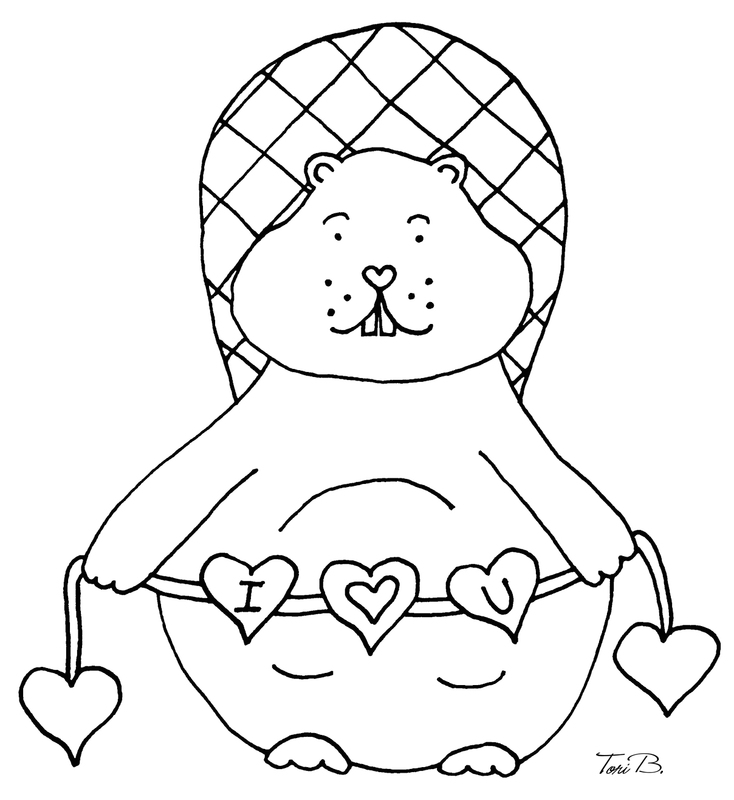 I hope you enjoy today’s Free Crudoodle Digital Stamp, Valentine Beaver, with his special message, just for you. 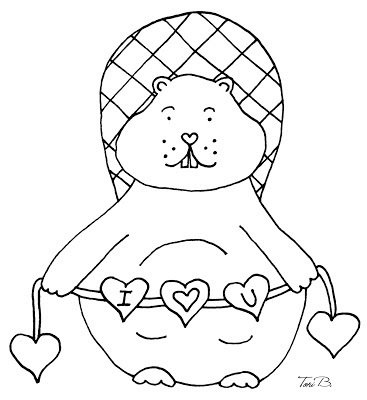 To save Valentine Beaver to your computer, PLEASE CLICK HERE, then, right click on the picture, and save to your computer. Posted in freebie, Tori Beveridge and tagged card making, coloring page, digi stamp, digital stamps, free, paper crafts, scrapbooking, Tori B, valentine. Thank you! he is the cutest Valentine beaver I ever saw and he LOVES me! LOL! He will make a great Valentine card! Such a sweet image. Thanks Tori.